15 Reasons Nikii Hubbs is the right Real Estate agent for you! I’m Nikii Hubbs and I have been a Realtor in the state of Oklahoma for over 17 years. I am married to a wonderful man, Damon Hubbs. He’s actually a Saint because he puts up with my crazy yet fun career. Damon graduated with his Bachelor’s Degree in Aviation Management; and, currently works at Tinker Air Force Base. I am the very proud mom of two beautiful girls. My oldest daughter just recently got married and has her Bachelor’s Degree in Nursing; and works as an RN in the NICU at the OU Children’s hospital. My youngest daughter is now a sophomore and recently got her driver’s license (don’t say you haven’t been warned); she keeps busy as a football manager and playing golf. She never fails to amuse us at family gatherings with her quick wit and jokes. I am very blessed to have such a wonderful family. As far as Real Estate is concerned (with the ‘social butterfly’ issue that I have) I couldn’t imagine any other career for me. The job fits my personality very well. I love helping people find a new home; first home; vacation home; investment properties; etc; as well as, helping people sell their existing homes. Real estate transactions are not without ‘obstacles’ and I make it my mission to overcome and resolve any that may crop up along the way. My ultimate reward is the life-long friendships I have made throughout my career. My business continues to grow, thanks to all my amazing friends and past clients for using me and sending me referrals. 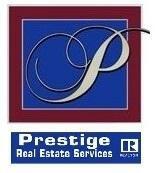 If you’re looking to buy or sell a home I would love to be your Real Estate Agent. Please feel free to call, text, or e-mail me today and let’s talk about it. As a real estate professional, I am committed to negotiating on your behalf to help meet your specific goals and objectives. I take great pride in maintaining communication on a regular basis with my clients be it via phone calls, text, and/or emails.